Get ready for some old-fashioned teenage rebellion! Jody and Alison read chapters 10-11 of Paula Danziger's YA classic, "The Cat Ate My Gymsuit" (1974). Marcy and the Four Horsemen of Finney plan a sit-in to save their favorite teacher from getting fired. Evil Principal Stone puts the kibosh on their radical plot and (spoiler!) Marcy ends up with a suspension. But Joel asks her to Nancy's party so everything's fine! The gals read some wonderful letters and notes from ... See More Blume Head listeners, reminisce about getting in trouble at school, Jody gives a Special Dream Analysis Report, and Alison rallies with a decadent Targ-Bucks beverage. Tune in for plenty of dramatic readings, the Star Spangled Banner, and too much caffeine. Lastly, congratulations to Blume Head of the Week, Surfer Girlie. 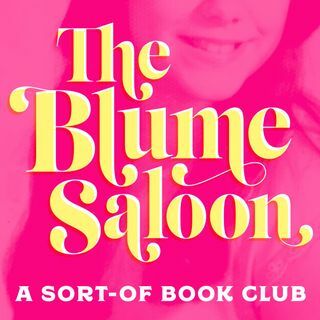 It's a Judy Blume book club. Join us every week!